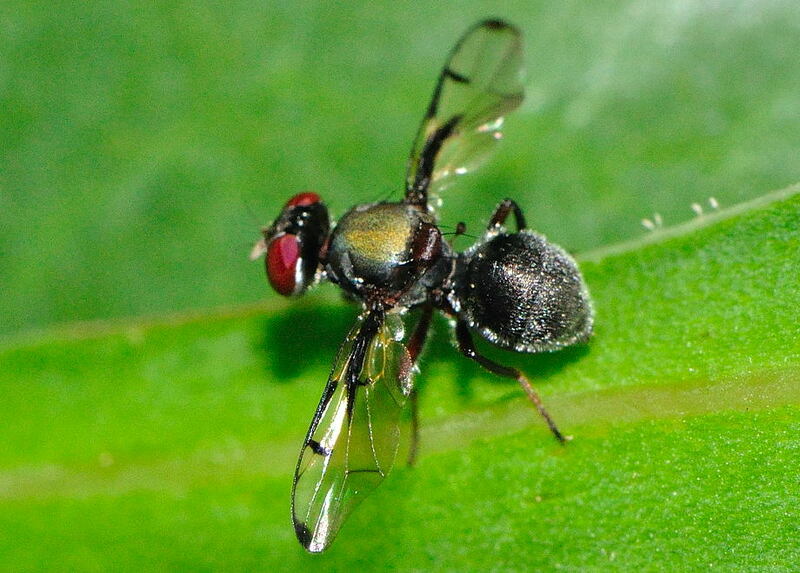 This page contains pictures and information about Boatman Flies that we found in the Brisbane area, Queensland, Australia. This fly, when walking, swings it wings like someone swinging the paddles when rowing a boat. 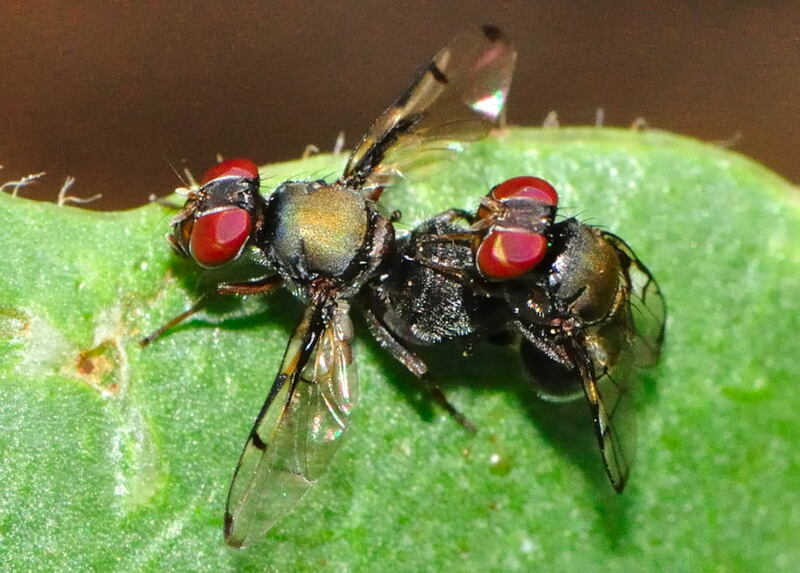 We believed this is why they are called Boatman Fly. 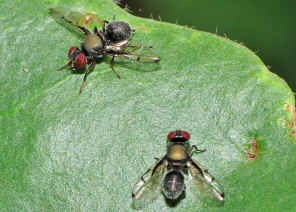 Those characteristic movements are often seen in this species although they can be seen in other Signal Fly species as well. 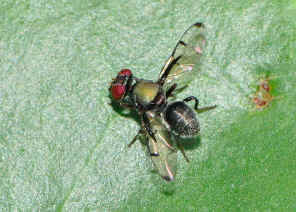 This fly is small in size, walk with wing open and has the narrowed waist. We believed this fly mimic ant. 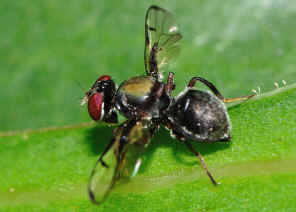 One thing interesting is that another ant-mimicking fly, the Ant Fly, is also walk with wings open. We took those photos in Mt Coot-tha Botanic Garden on Oct 2009. 1. 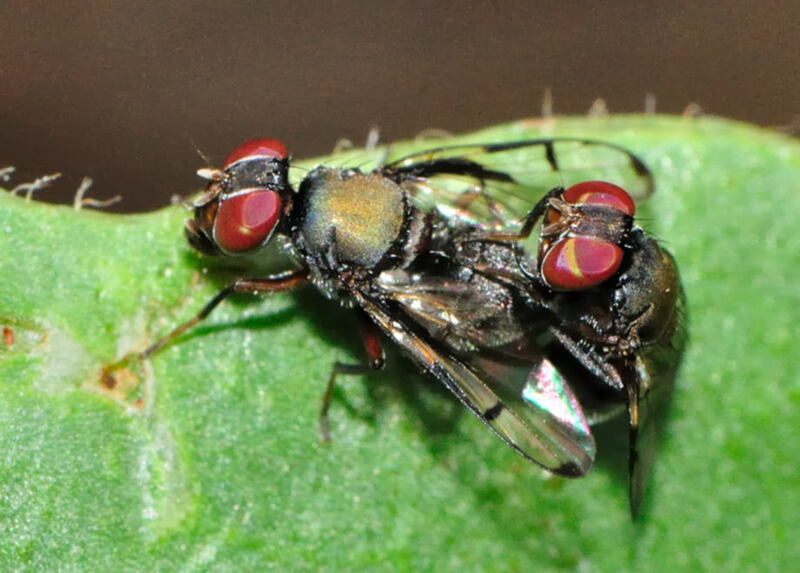 On the fly [CD] : the interactive atlas and key to Australian fly families - Joanna Hamilton ..., Australian Biological Resources Study 2006. 2. Review of the Australasian Genera of Signal Flies (Diptera: Platystomatidae) - DAVID K. MCALPINE, Records of the Australian Museum 53(2): 113–199, 2001.